Last year, the Maryland Court of Appeals ruled that individuals have a right to have an attorney present at bail hearings. There is some question, though, of how this ruling will be implemented. 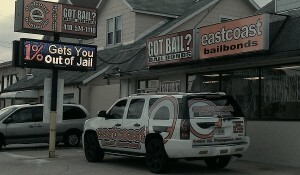 We discuss indigent defense and bail reform in Maryland with Doug Colbert, professor at the University of Maryland’s Carey School of Law; Baltimore County States Attorney Scott Shellenberger; Tom Maronick, attorney and host of “The Tom Moore Show” on AM 680 WCBM; and Paul deWolfe, Maryland Public Defender.